Phuket continues to top many a discerning traveller’s wish list when it comes to tropical island escape. With myriad upmarket developments hugging pristine hillsides to the dramatic backdrop of a glistening ocean—all framed by an ethereal horizon—why head anywhere else? From tranquil idylls to bustling nightspots, there is an enclave to match all desires. The remarkable headland of Cape Yamu juts off the impressive eastern coastline into the heart of Phang Nga Bay, attracting an eclectic mix of jet-setters seeking a balance of halcyon harmony and exotic indulgence. The east coast of Phuket is arguably the most picturesque locale of this magical destination. Vast swathes of dense jungle landscapes stretch as far as the eye can see, isolated developments rest within the canopy, and visitors relish the unbridled vistas of such an immaculate marine expanse. This iconic point boasts a unique horizon with Ko Rang Yai sitting just within sight and Ko Yao Yai further in the distance. 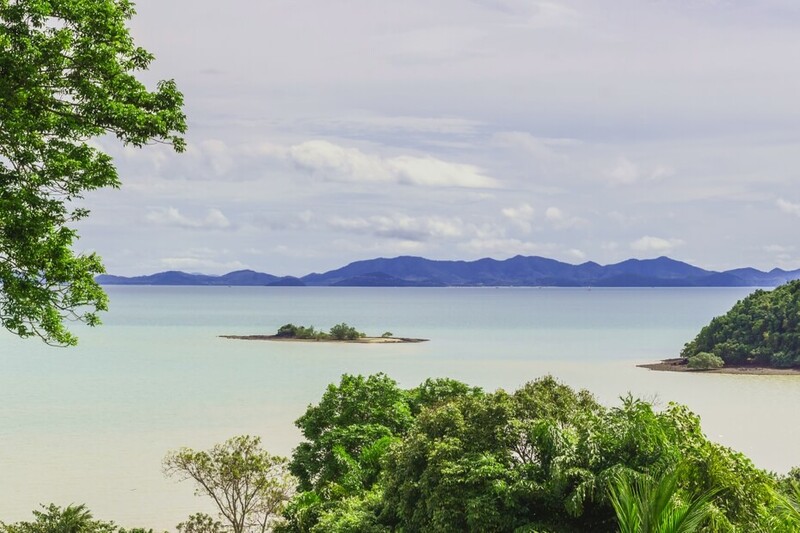 The position of the peninsula allows guests to enjoy the best of Phang Nga Bay – indisputably the region’s most desirable hangout for those in search of paradisiacal peace. 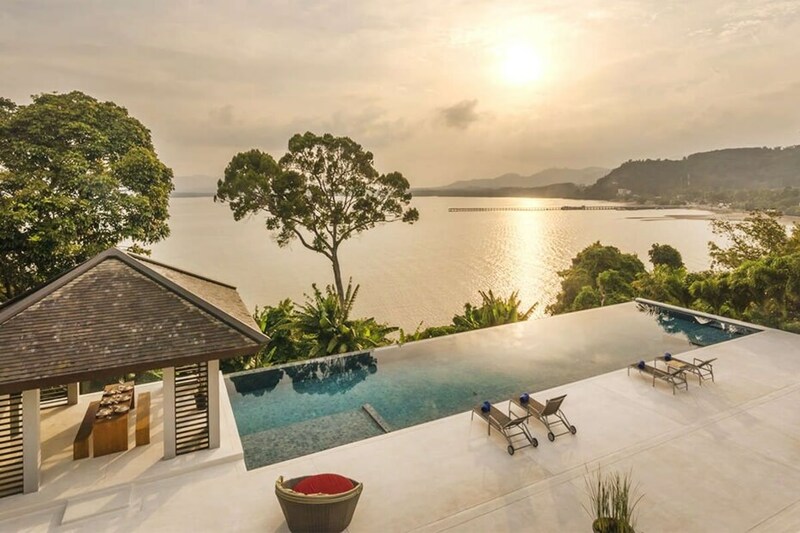 Given its inimitable scenery, it is little wonder that many of Phuket’s finest developments have taken up residence on this secluded spot. Highly acclaimed architects such as Philippe Starck and Jean-Michel Gathy showcase their imaginative creations which are now dotted throughout the woodlands. Many are set discretely within the confines of their own gated communities and boast a prestige that is rarely afforded elsewhere. An added benefit of this stretched coastline is the exclusive beach access offered to each of the top-end establishments in the region. Set on the cusp of the shoreline, guests barely need step foot outside the door before sinking their toes wistfully into the softest of white sands. 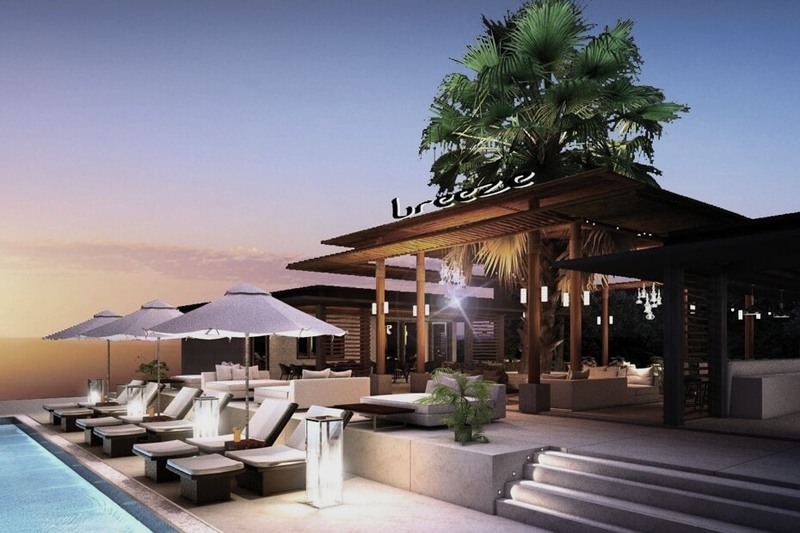 A multitude of high-end resorts and spas—as well as all manner of other luxury amenities—are equally accessible so, when it comes to refined living, this is the choice of those with a finger on the pulse. 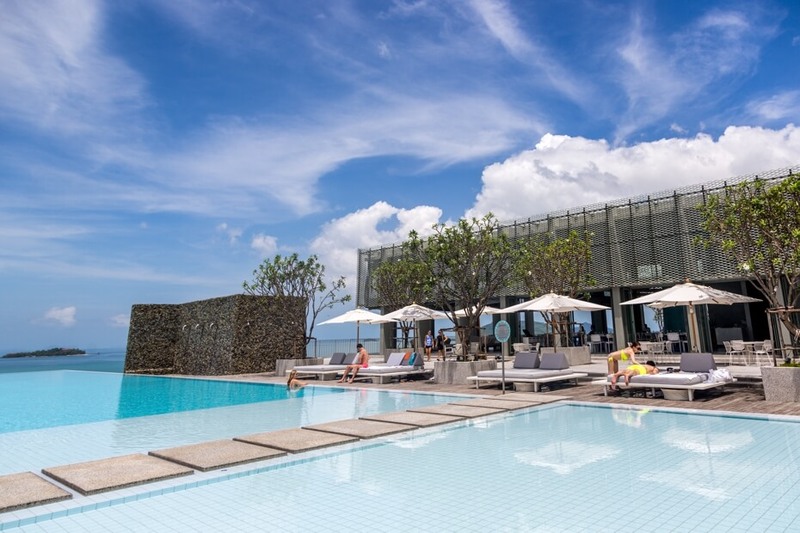 If ever you seek a Sunday hangout on Phuket, there is only one name on people’s lips: Breeze at Cape Yamu. The establishment is emblematic of the island’s sophistication—a heady array of beautifully indulgent culinary creations alongside the finest tropical cocktails—all served to the tune of the day’s most laid-back rhythms. Breeze at Cape Yamu is renowned for its Sunday Brunch with the most famous names on the island guaranteed to turn up if they are in residence. Be sure to bag yourself a seat to avoid missing the experience of settling into a single table of forty as the wine flows freely from early morning. 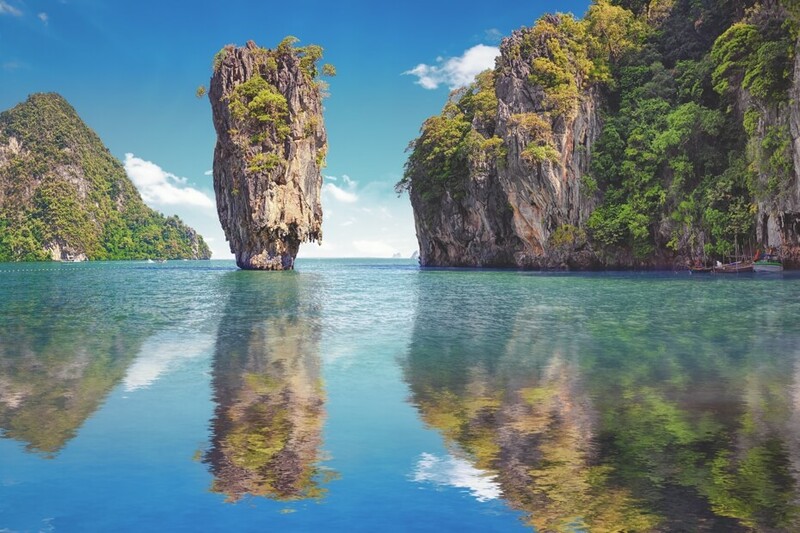 Phang Nga Bay is an aquamarine expanse of unrivalled beauty. A pristine stretch of crystal-clear waters from which limestone cliffs lurch impressively from the depths; you could lose yourself for days amidst such bucolic magnificence. Charter a yacht and drift among mystical isles, anchoring in your own private bay before diving into crystalline waters to explore the abundant marine life. A Robinson Crusoe extravaganza at its finest. The easterly aspect of Cape Yamu creates the perfect sunrise locale. Be sure to set the alarm on at least one morning, settling into a tropical breakfast to the majesty of this resplendent display. The waterfront offers a romantic promenade on which to enjoy an early evening stroll, so as the sun sets in paradise, why not take a loved one to this heart-achingly wondrous spot, perhaps even sharing a kayak to round off the perfect honeymoon escape. The tranquillity of the surrounds - alongside the enchanting properties that abound - make this an experience not to be missed. 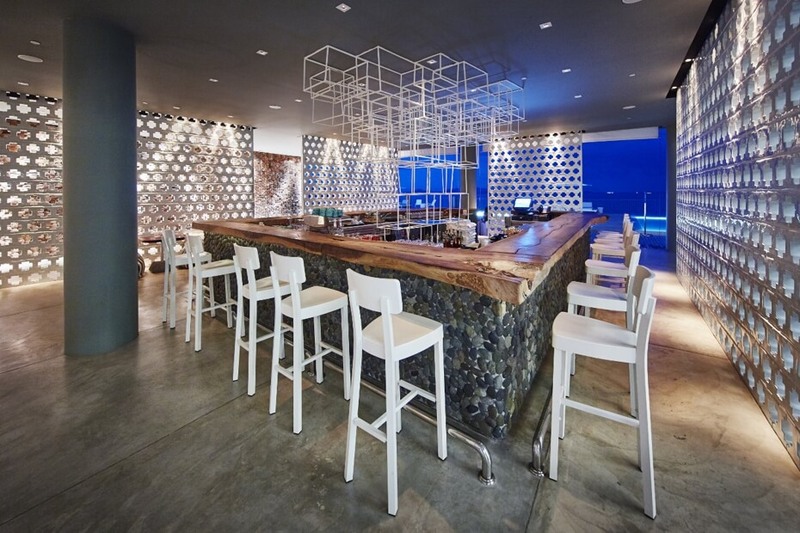 Though Cape Yamu is revered for its quieter corners, there is still excitement on hand and the newly opened Point Yamu Hotel has a selection of eateries to entice even the most selective of diners. The perfect precursor to exuberant evening banquets? A mouth-watering aperitif in the elegant Aqua Bar as the sun gently drifts beyond the mountains creating a skyline to rival such colourful alcoholic creations. While many arrive on the shores of this incredible island in search of incessant indulgence amidst the throngs, there is a more refined experience at hand – if only you know where to look. Cape Yamu is the honeymooner’s delight with its unerring splendour, gentler pace of life and eclectic mix of impressive dining establishments alongside boundless sea vistas. With Asia Villas offering a selection of the finest luxury accommodations in the region, there has never been a better time to voyage in search of your own secretive island escape.